Why are wealthy investors swapping gold futures for physical metal that they own outright...? A LITTLE UNDER twelve months ago, the world's biggest financial players suddenly found they could not turn some $1.3 trillion of their assets into cash. These assets – bonds backed by US home-buyers with low (or no) incomes – had become utterly illiquid. No one would buy or lend against them, not at any price. And an asset you can't sell or borrow against is worth precisely nothing. The resulting mayhem? It would have sounded frivolous two years ago. But the subprime crisis caused the first run on a British bank run in 130 years, a forced collapse in US interest rates, and the fire-sale of Wall Street's fifth largest investment bank for just 16¢ on the dollar. "[Now] it seems that the financial system is slowly working its way through this subprime shock," writes Gillian Tett in the Financial Times. "The largest banks and institutions have written off almost $200 billion and raised more than $100bn-odd of capital to plug this gap. "Indeed, the write-downs have been so vast that some analysts expect to see some write ups in the next set of results." Crisis over? That key marker of investor anxiety, the Gold Price, fell 15% from its top of mid-March to the end of April. The preceding surge had taken gold bullion up from $650 per ounce in August to above $1,030 the day after Bear Stearns was sold to J.P.Morgan. The proximate cause for gold's jump – and then setback – was the Federal Reserve's decision to slash US interest rates. Gold turned sharply higher as the Fed began cutting rates in Aug. '07. It only flagged when Fed policy-makers implied a pause in their war against the Dollar (albeit it temporary) seven months later. 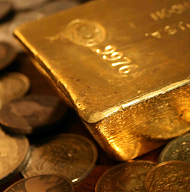 Cheap money and the inflation it causes makes gold bullion an attractive asset. Central bankers can't print it; investment bankers can't promote it to destruction. 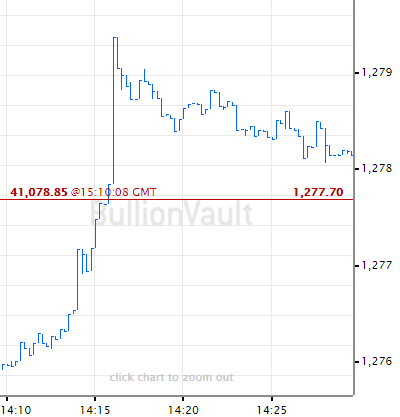 But "in addition to being generally positive for gold prices, the credit crisis brought counterparty risk to the fore," as Nikos Kavalis of the GFMS consultancy in London reminded us here at BullionVault by phone this week. That's why a significant portion of new Gold Investment since last summer has gone into physical metal – owned outright – rather than simply into paper promises or credit arrangements. 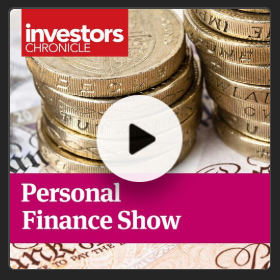 "In many cases, we've actually seen investors moving away from positions they already had in place, moving out of both unallocated accounts and gold derivatives, and into allocated metal," says Nikos. "Largely as a result of the crisis in the credit markets, a number of high net worth individuals have invested in physical gold." Unallocated gold is the Gold Market's major concession to financial trickery (a.k.a. "innovation"). Merely a book-entry on a credit ledger, it works much the same as a bank account – only without deposit insurance – representing a loan from the buyer to the brokerage. That leaves the investor very much "on risk" with regards to the brokerage's financial survival. And it's been estimated to us here at BullionVault that well over 95% of the world's daily Gold Dealing is still done on an "unallocated" basis. What makes physical bullion stand out for the growing number of private investors choosing outright ownership instead? Gold futures or options would, after all, give them leverage to the Gold Price, super-charging their gains if they call the short-term direction correctly. But leverage pays nothing if your counterparty defaults. And for investors with money to lose, physical gold bullion sits in a much-needed asset class all of its own. First, the physical Gold Market centered in London is one of the deepest and most liquid capital markets in the world. 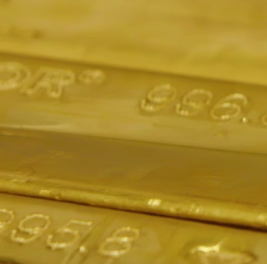 Turning bullion into cash is easiest for investors dealing warranted gold bars. Kept in professional storage to retain maximum resale value, gold held in the form of these large 400-ounce bars also avoids wide dealing spreads and commission fees, too. Repeated studies also prove gold's safe-haven appeal on the basis of its "non-correlation" with securitized assets, such as equities and bonds. Gold Prices move independently of the broader financial markets – neither together, nor in opposition. This lack of correlation makes gold a crucial component of any diversified portfolio. Finally, physical gold bullion – provided that it is owned outright – is unique amongst tradable assets; because it's almost entirely devoid of counterparty risk. You'd be surprised how many investors, both private and professional, fail to realize the difference. Owning the metal outright – whether as gold coins in your pocket or large bars held securely in market-approved storage – takes you "off risk" with regards to the solvency of banks and brokerages. And it leaves you holding a highly liquid physical asset that's instantly valued just by checking the Gold Spot Price online. "While the subprime shock may be ebbing," continues Gillian Tett in the Financial Times, "the problem is that...as the US economy slows, there is a good chance defaults will soon emanate from the corporate and consumer debt world. "And the more that banks are forced to tighten credit as a result of the subprime mess or other losses, the greater the risk that this second wave of defaults will emerge – creating the risk of a vicious spiral." The current lull in the Gold Price says fewer investors are worried today. But only this week, Moody's Investors Service – one of the three credit-ratings agencies now blamed for letting investment banks issue toxic subprime bonds as "triple-A" bonds – warned of a sharp rise in US corporate-bond failures. It sees the default rate on low-rated junk bonds quadrupling to 4% by the end of this year. Wherever the subprime shock has hit hardest, municipal debt also looks weak. Council members in Vallejo, California voted on Tuesday to file for bankruptcy, thanks in no small part to "house prices in Vallejo and the surrounding area falling some 26% on a year ago," reports The Independent here in London. "The city is expecting $1.6 million less in property sales taxes." And all this while – 12 months on from the first trouble at UBS and Bear Stearns – the final cost of the subprime shock itself is still pending. Chairman of the Federal Reserve, Ben Bernanke originally put a $100 billion forecast. The International Monetary Fund (IMF) has since set the ceiling at $945bn. But there are hidden costs too, as Bloomberg reports this week. Now State Street, the world's biggest institutional fund manager, faces more than $625 million in lawsuit damages, for instance, after being sued by four insurance companies for putting their cash into subprime bonds without their approval. Let's imagine all of your wealth is sitting safely outside the next subprime-style blow up. A loss of confidence in one sector can still become a system-wide crisis. And the failure of subprime bonds to pay up should have reminded us all that counterparty risk remains very real, no matter how clever derivatives salesmen become. A growing number of private investors, in contrast, would rather hold at least some of their wealth in a liquid, tradable asset, entirely free from the risk of default. What price they pay should depend on what they think will happen to interest rates. But the value of Gold as a portfolio back-stop remains hard to beat, even 15% below the latest all-time high of mid-March.